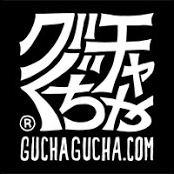 GUCHAGUCHA is an art collective based in Madrid created by: Eduardo Bertone (Argentina) and Michiyo a.k.a ROJI (Japan). GUCHAGUCHA is interested in cultural fusion, mixture of styles and artistic expressions to show you something different and personal. ROJI: after graduating in fine arts in Kyoto, Japan, she moved to Madrid in 2002 where she specializes his career at the Fine Arts University UCM. She made several solo and group exhibitions of art prints and paintings, she is lately focused on graphic design and illustration.